12" Gluten Free Cookie Cake serves 12-14 12" Cake serves 12-14 18 Piece Assortment - When 12 is just not enough! When you want the best cookies and cookie cakes delivered to your loved ones near or far, Ali's Cookies is the top choice. 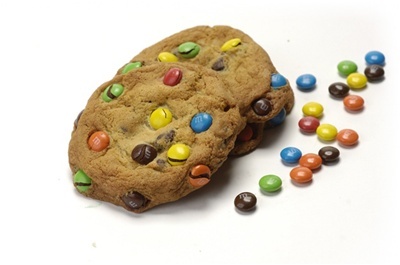 We don't just have the tastiest cookies in the Atlanta area - they're the best nationwide. 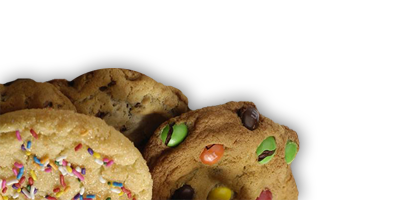 Ali's Cookies lets you order kosher cookie cakes online and get them delivered for birthdays, anniversaries, graduations or just because. For any occasion, you can also get photo cookie cakes delivered with a picture of your friends or even your company logo for corporate events. Eating cookies is a fun way to bring people together to enjoy a delicious treat. That's why we bake our cookies using only top-quality ingredients. You don't keep unnatural preservatives in your kitchen, and neither do we. With Ali's Cookies, you'll enjoy only the highest-quality baked treats. 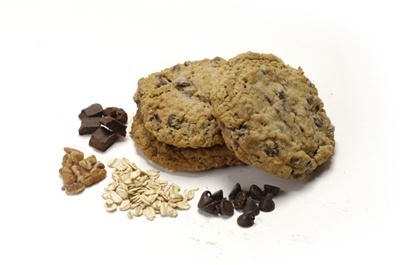 Ali's makes the best chocolate chip cookies as well as M&M Chocolate Chip, Berries 'N Cream, Oatmeal, Toffee Crunch and more using real, natural ingredients, such as freshly cracked eggs and creamy butter. 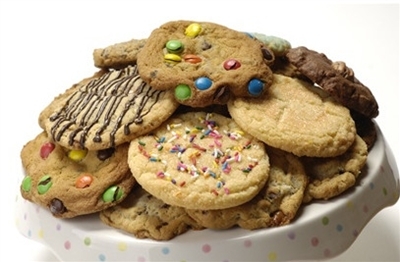 Don't just take our word for it - order Ali's Cookies for your home or business today! We are proud that all of our products are certified Kosher by The Atlanta Kashruth Commission. Most of our cookies have dairy products in them, but there are some that are non dairy and are certified DE. Please let us know if you want DE only .